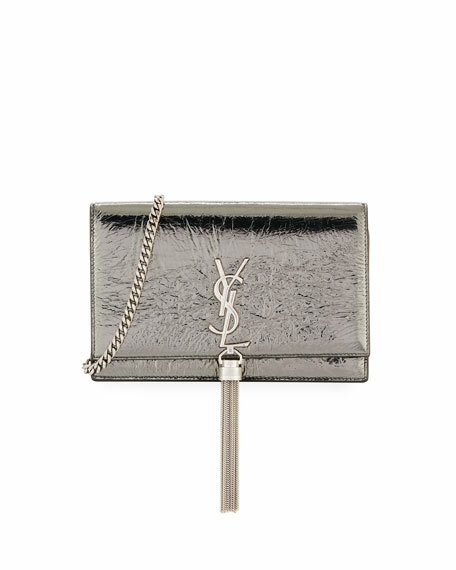 Saint Laurent crinkled metallic goatskin wallet on chain. Removable chain and leather shoulder strap. Full flap top with metal YSL logo and tassel. 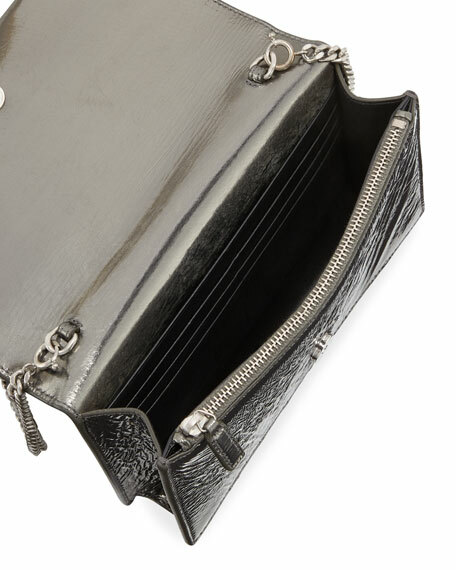 Interior, one bill and six card slots; zip pocket. For in-store inquiries, use sku #2499839.